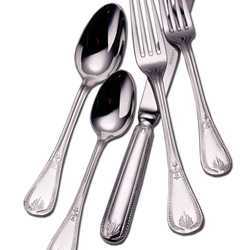 Couzon was founded in 1934 by Jean Couzon. 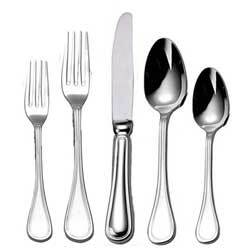 The company quickly developed into one of France's undisputed market leaders in the production of stainless steel flatware and holloware. 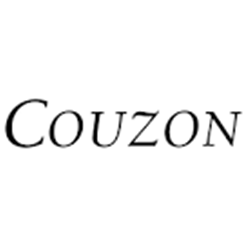 The name Jean Couzon Orfevre, adopted in 1971, was soon recognized in the market due to clever advertising and fine product quality. 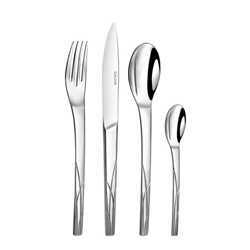 They managed to create original, contemporary and functional products using the best materials and the most advanced technology. 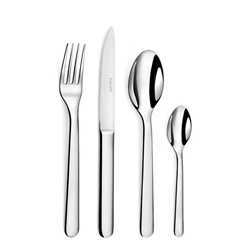 As the only brand in Europe that focuses on contemporary cutlery and tableware, Couzon is renowned for their ability to create products as beautiful as they are functional. Their unique designs make Couzon flatware the perfect addition to your table for any occasion. Crafted in silverplate or 18/10 stainless steel, the European sized flatware is heavyweight and well-balanced. 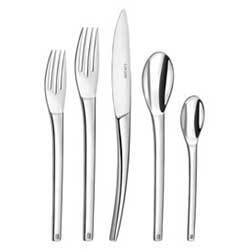 In the late seventies and early eighties the company worked hard to be at the leading edge of progress, not only technologically but in areas such as sales, advertising and creation as well. The efforts paid off; in 1986 Couzon had over 700 employees and its products were sold with great success. 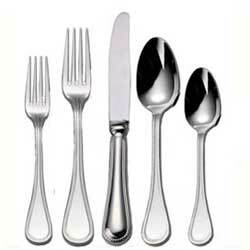 All products are designed in France and manufactured with the highest standards in the People’s Republic of China. 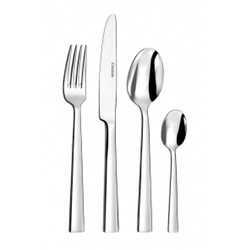 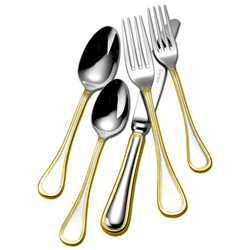 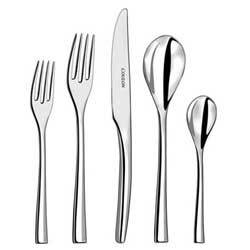 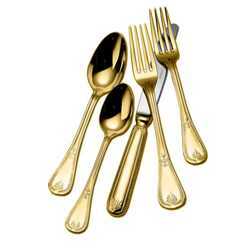 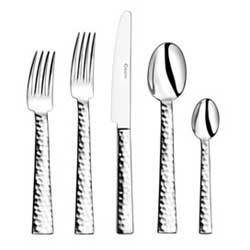 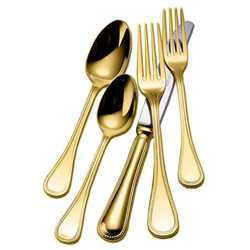 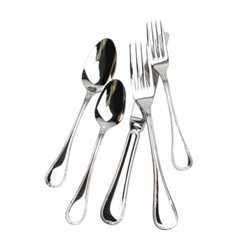 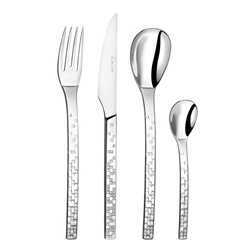 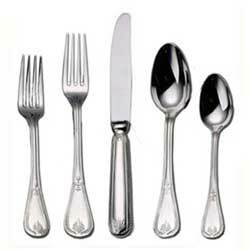 No flatware company has the contemporary aesthetic for which Couzon is renowned. 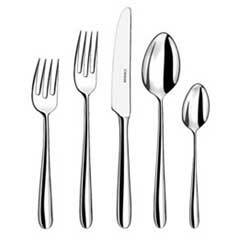 While Le Perle, Lyrique and Consul are very popular for classic table settings, most of their patterns feature unique, fashion-forward designs. 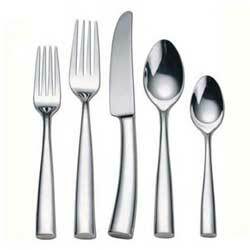 As soon as you pick up a piece of Couzon flatware, you know you have a high quality product in your hand as it has superior weight and balance. 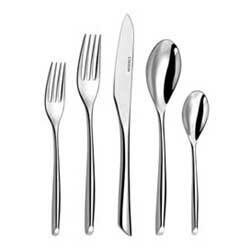 Our favorites are Silhouette - in Bright or Satin stainless, and Silverplate; Steel in stainless or silverplate (love that the knife can be placed on the table with the blade perpendicular to the table! 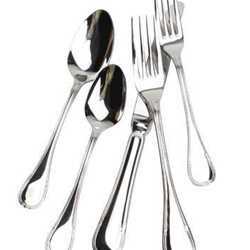 ); and Fusain.